The U.S. military conducted more than five times as many airstrikes in Iraq last year as it did in 2006, targeting al-Qaeda safe houses, insurgent bombmaking facilities and weapons stockpiles in an aggressive strategy aimed at supporting the U.S. troop increase by overwhelming enemies with air power. So says The Washington Post a few days ago, in a credulous article about US counterinsurgency doctrine in Iraq. By now, all Americans should be aware that close air support has, at best, a minor role in counterinsurgency. Insurgents don't normally make themselves easy-to-find targets. Even when you locate them, they're unlikely to be found in large numbers, huddled together in easy-to-bomb clumps. And, of course, there's the continued problem of political backlash from bombing suspected guerrilla locations, since bystanders often lose the property, their limbs, or their lives during the attack. A five-fold increase in air-to-ground attacks is not, therefore, a sign of progress. It's a sign of desperation, the only measure that the US military has--particularly given the pressure for results in the recent escalation. Since the insurgent groups are not complete morons, they have taken countermeasures, after years of fighting, to blunt US airpower. Not every group is as smart as every other group, but in general, you won't find them marching around the Iraqi countryside in large groups, waiting to be annihilated. Any weapons caches or bomb factories are also dispersed enough so that no single attack, or even a series of attacks, will completely eliminate them. Even if the attacks are the result of better intelligence, is bombing a safehouse used by the Army of the Mahdi or Al Qaeda in Iraq (these groups have names, by the way) the best way to get rid of them? Or even start a clear-and-secure operation against them? Colin Kahl, a professor of security studies at Georgetown University who studies the Iraq war, said airstrikes rose in 2007 because of a combination of increased U.S. operations and a realization that air power can have a strong psychological effect on the enemy. "Part of this is announcing our presence to the adversary," said Kahl, who recently returned from a trip to the air operations center. "Across this calendar year you will see a reduction in U.S. forces, so there will be fewer troops to support Iraqi forces. One would expect a continued level of airstrikes because of offensive operations, and as U.S. forces begin to draw down you may see even more airstrikes." Apparently, we are fighting a war against insurgents who don't read the newspapers, or are too stupid to draw conclusions about the staying power of the United States. Therefore, no amount of "announcing our presence to the adversary" matters if the guerrillas conclude they can out-wait the United States and the Iraqi government. If, instead of "announcing our presence," the air strikes are intended to knock some Sunni and Shi'ite insurgent groups temporarily off-balance, while Iraqi forces assume larger operational responsibility, why not just say it? More corporate PR-ish announcements merely corrode trust between the US government and the electorate that much further. You're still learning about counterinsurgency, and you'd like to hear, from an operational or tactical level, what it takes to win these sorts of conflicts. On that last point, it's worth skimming the Army's manual for the general-purpose infantryman, FM 7-8, Infantry Rifle Platoon and Squad, to compare it with Green's field guide to counterinsurgency. You'll notice immediately how standard US military doctrine has nothing intrinsically to do with counterinsurgency. Even if you throw in specialized publications covering relevant topics--for example, FM 41-10, Civil Affairs Operations, or FM 3-07, Stability and Support Operations--you'll still notice gaps. Even the Marines' venerable Small Wars Manual didn't cover everything. However the wars and Afghanistan and Iraq conclude, the United States cannot afford to have its military--not to mention the rest of the government--go for another generation without making the tangible, permanent changes needed to fight guerrillas better. An important rule of counterinsurgency is, Gifts that the recipient does not want, or does not need, will never win "hearts and minds." Case in point: a $38 million accounting system for the Iraqi government, which for the last year, no one in the Finance Ministry is using. Obviously, the Finance Ministry needs accounting. However, it wasn't necessarily ready for state-of-the-art accounting software. Or, perhaps, the problem was the fashion in which American contractors and officials delivered this system, which failed to convince Finance Ministry's employees that this particular system would work for them. Either way, $38 million is a lot of money to waste learning a basic lesson about "hearts and minds." As I was saying in "The captains' war," counterinsurgency can't succeed without trust. Needless to say, if you can't establish trust with a general in the Green Zone, you really can't establish trust with an A-10 pilot dropping bombs on your neighborhood. The increased dependence on "aerial counterinsurgency" is, like dependence on "private security firms," a natural outgrowth of not having enough of the right kind of forces for the mission in Iraq. The other day, I said a few words about the crucial role that captains and lieutenants play in counterinsurgency. That’s a stark contrast with conventional war, colonels and generals are the important decision-makers at the operational level of strategy. I wasn’t completely satisfied with what I wrote, and I finally figure out why. I fell into a trap that’s all too common when writing about revolutionary warfare: people often describe the perspective with which they are most familiar. That problem is by no means unique to descriptions of counterinsurgency warfare. For example, if Basil Liddell-Hart’s account of World War II were the only history of that conflict you ever read, you might conclude that the war was won on the parade grounds of Sandhurst. Liddell-Hart’s slant on the war is highly surprising, since he was a former British officer who based his work on a broad array of British sources. To understand World War II, you have to read at least a few books, in part to overcome the limited perspective of any particular author. When Americans write about counterinsurgency, they usually turn it into an American drama. The most obvious examples are the countless accounts of the Vietnam War that describe that historical drama as America Agonistes. As good as the classics of the war, such as Herr’s Dispatches, or Moore’s We Were Soldiers Once, often are, they usually relegate the Vietnamese themselves to minor roles, or in many cases, mere props. Movies about Vietnam suffer this problem even more acutely: for example, the Vietnamese in the Oscar-winning Platoon are nearly shadows behind the main characters, all of whom are American. Any good depiction of counterinsurgency needs to show the war from multiple sides, combatants and civilians alike. After all, these conflicts are the epitome of Clausewitzian principles, in which military operations are merely tools to construct political outcomes. Therefore, to understand why captains and lieutenants are critical players in counterinsurgency, you have to imagine the war from the perspective of the average Iraqi. Say that you live in Baghdad, surrounded every day by people you know, and many whom you don’t. Loyalties fall along many lines according, according to family, clan, job, political beliefs, religious faith, and personal inclination. You know that a Shi’ite militia responsible for attacks on local police stations works out of a building down the street. 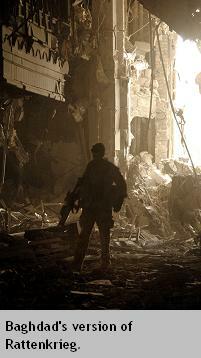 Their activities are an open secret, in large part because people in the neighborhood are afraid of these insurgents. You might despise this militia group for a variety of reasons. Maybe the form of Islam they profess is antithetical to your beliefs. Perhaps one of their kidnapping victims was someone you know. Or, simply, you’re afraid of what might happen if the Iraqi or American army showed up one day to clear out these militants. Therefore, informing the Iraqi or American authorities about the militia group—its location, membership, habits, etc.—involves serious risk. These militants kill for a living, so they will have no qualms about killing you or your family. Before you take this enormous risk, you’ll need to trust the person to whom you confide any information. That person will have to be someone with whom you are familiar. You’ll need to be confident that they will keep your cooperation a secret. You’ll also need to know that they can actually do something about the militia, and they care enough about what happens to you to take great care in doing the job right. In other words, the person with whom you confide will have to meet a very high standard of trustworthiness. No colonel or general will ever meet that standard. They’re too distant, physically and organizationally, for you to know them well enough. If you approach anyone in uniform with information that may cost your life, it has to be someone lower in rank, but more familiar to you. To win a counterinsurgency war, you need the assistance or acquiescence of the local population. You don’t need a sweeping mandate from the masses, just enough people willing to trust you. Iraq's electricity problems--which, at best, are as bad as ever--show many of the problems the US and Iraqi governments have had in developing an effective counterinsurgency strategy. To put it in the simplest possible terms, you can't defeat an insurgency by spreading your efforts thin across the entire country. You need to focus on a particular area, or "enclave," re-establish security and governance, and move on to the next region. Unfortunately, Iraq's electricity grid undermines any such enclave strategy. Economic development creates a dependency on electricity. The Ba'athist regime under Saddam Hussein built a centralized electricity grid, in part as a instrument of political control; now, that centralization works against the government that replaced the Ba'athists. Insurgent groups know that they can easily disrupt the highly centralized electricity distribution network, undermining the "civil affairs" side of counterinsurgency, with very little effort. Average Iraqis know that, whatever the government may say, a small group of militants can bring normal life in Iraq to a halt. Even without a civil war to complicate matters, re-building a nation's power grid is a huge undertaking. Unfortunately, political violence isn't the only complication. Iraqi leaders undoubtedly see the centralized power grid as a tool they might use someday. US firms that receive reconstruction contracts (Bechtel, Halliburton, et al. )would rather have the economy of scale that a centralized grid provides. No one in the Iraqi government, the US government, and the foreign reconstruction firms is eager to assume responsibility for the risky, painful process of decentralization. If decentralization were to succeed, some parts of Iraq would receive visibly better electricity service than others, raising the question of whether any sectarian or ethnic groups that dominate these regions are receiving preferential treatment. QUESTION: Just to follow up on the electricity, isn’t there also a concern about the electricity being centralized in Iraq? Is there an effort to try to decentralize that (inaudible)? DEPUTY SECRETARY ZOELLICK: Well, one of the aspects and, you know, I didn’t mention to Carol is that in many countries you have a system that is not designed to be attacked or is not assuming you’re going to have insurgents around. I mean this was a very centralized system in terms of the fuel lines as well as the overall electricity grids. So, there are also some efforts to see the role of some particular Iraqi security forces that might help with some key infrastructure aspects. You don’t really have to defend 2000 kilometers to be able to sort of deal with many of the attacks, at least from what I’ve seen. But, as you referenced, one of the main points I mentioned about private generation capacity, we’ve already seen some of that happen. The wonderful thing as you start to open up market possibilities, people do start to figure out a way to make these things happen, but you’ve got to create a pricing structure that also does that. Pricing of the raw material, the fuels, ability to import it as opposed to have government controls, and also the pricing of that fuel versus other fuels. So, those are some of the items that I want to try to see what the incoming Iraqi government, how they think about them. Sadly, this statement sounds less like a genuine endorsement of the "micropower" movement, and more like just another way of saying, "The free market will handle the problem." Unfortunately, any budding Iraqi electricity entrepreneurs are likely to be shot dead by the insurgents, who want the power to stay off. Yet again, we return to the enclave strategy that is the fulcrum on which any counterinsurgency strategy turns. The electricity grid undermines any efforts to build emclaves; without enclaves, many efforts to fix the electricity problems can't succeed. Officers mouth the right words, but they don't embrace the ideas behind counterinsurgency. That's exactly what the US military did during the early 1960s, when the Pentagon felt that it could avoid President Kennedy's pressures to take counterinsurgency by adopting the language, without changing doctrine or organization. Military leaders start focusing on something else. In the waning days of the Vietnam War, American military professionals had already stopped paying attention to counterinsurgency, preferring to invest their time and dwindling resources on conventional and nuclear warfare between the superpowers. A few enthusiasts continue to champion counterinsurgency, but little changes. In other words, the war colleges might have several counterinsurgency "true believers" on staff, but the rest of the military's overall TO&E and doctrine remain the same. After the Vietnam War, some in the Defense Department did try to ensure that the United States would be prepared for the next Vietnam. Unfortunately, these individuals were largely isolated, facing not only resistance from generals and admirals who refused to believe that another Vietnam would ever happen, but severe penalties in their personal careers if they continued crusading for counterinsurgency. The third warning sign is the hardest to discern, since you need to sift through the details of budgets, assignments, and promotions to track what happens to the counterinsurgency experts. The first two warning signs are easier to discern, since you can find them in military journals, the proceedings of Defense Department conferences, and other highly public materials. The summer issue of Parameters, the Army War College journal, points towards a more optimistic future for counterinsurgency warfare, even as the news from Iraq remains grim. I often cite Parameters on this blog because it gives some insight into what the leaders of the US Army are thinking and discussing. The summer issue includes a "social networks" view of counterinsurgency, a review of the Marines' new counterinsurgency manual, a "think piece" about defining victory in counterterrorism and counterinsurgency, and book reviews on these and related topics. It's clear that the authors of these articles aren't merely paying lip service to counterinsurgency principles. No one says, as many American officers did during the Vietnam era, that any good army can defeat guerrillas. Why do the prospects for counterinsurgency after Iraq seem better than the same situation after Vietnam? I'm sure that military professionals know that the American electorate understands the level of challenge that Iraq and Afghanistan posed, and the necessity of meeting that challenge. It also helps that there isn't a superpower conflict to justify ignoring counterinsurgency for other forms of potential conflict. After Vietnam, many observers warned that, like it or not, Americans would face another counterinsurgency war. The same principle applies when US involvement in Iraq comes to an end. Let's be better prepared, this time. In counterinsurgency, numbers do matter--to a point. You might calculate the minimum number of soldiers needed to protect important public facilities from sabotage, or patrol a neighborhood in Baghdad. However, what you can't solve simply by adding more troops are the sorts of problems that demand cultural and political sensitivities. Counterinsurgency doesn't let you pick and choose: you either take all these missions, or you don't get into the counterinsurgency business in the first place. In this case, you can't help Iraqis "stand up so that we can stand down," simply by putting another exhausted National Guardsman on a street corner in Sadr City. We shouldn't be surprised that "the surge" is not officially "working." The US government didn't start this escalation with a clear definition of what constituted success; whatever the definition, the resources deployed seemed inadequate to the task. What's surprising, perhaps, is the number of people watching this four-year war who still have no idea how guerrillas fight, and what it will take to defeat them. Let's review the basics of "the surge." The Bush Administration ordered a relatively small increase in the number of troops deployed in Iraq. The actual numbers changed, when you factored in (1) the extended tours of military personnel already deployed, and (2) a parallel increase in the number of "private security forces" (mercenaries) not included in the original announcement. The goal remained the same: clear and secure Baghdad. That objective was never going to be easy. Under any circumstances, clear and secure operations in cities is challenging, and nearly always imperfect in its results. 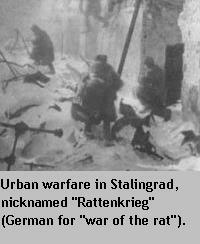 In the most famous example, the Battle of Stalingrad, encircled German troops trapped in Der Kessel ("The Cauldron") held on, despite low supplies, low morale, harsh weather, and a staggering numerical disadvantage. And that, of course, was a conventional battle, in which the combatants were relatively easy to identify (though Soviet civilians died in horrific numbers). In other cases of urban guerrilla warfare, a smart, dedicated, organized opponent can take years to completely clear from a city. Counterinsurgency forces often fail to identify all the guerrilla fighters and agents within a city. Inevitably, the guerrillas try to re-infiltrate; rarely are defensive measures, such as checkpoints and regular sweeps, sufficient. Making a city 100% guerrilla-free, and then 100% guerrilla-proof, is a major undertaking, and in many cases, something of a mirage. You can reduce the number of guerrillas, but you can't eliminate them altogether--unless they commit major strategic mistakes, as the Tupemaros did in Uruguay. The normal case looks more like Belfast, Kandahar, Lima, or Hebron, where the urban guerrilla was never completely eradicated. As long as I've been writing posts here at Arms and Influence, I've taken extra effort to point out the common but fatal mistake of assuming that your enemy in any conflict won't react. The same principle applies to the surge. Of course, Iraqi guerrilla factions moved out of the way of US and Iraqi forces in Baghdad, temporarily moving operations to other parts of Iraq. Of course, many of them switched tactics, deciding to lay low for the time being, or even--as in the case of the Army of the Mahdi--position themselves as a shadow army and police force. Of course, insurgents switched to lower risk attacks, such as bombing instead of sniping, to communicate defiance in the face of US and Iraqi efforts. The critical question about the surge isn't, "How safe is Baghdad today?" More important is how long the effects of this small-scale escalation can last. That question, of course, has more dimensions than just the number of bombs detonated or rounds fired. As I indicated in earlier posts, "the surge" doesn't change the politics of the Iraq war, in both Iraq and the United States. The Bush Administration has burned up so much of its credibility that, even if the surge made Baghdad dramatically safer, Americans are skeptical about the long-term prospects for victory. And what, for the US and Iraqi governments, does "victory" really mean? Today, the answer is no more clear than on the first day of the 2003 invasion. Certainly, Baghdad residents are happy for any reduction in violence. It's easy to underestimate the value of that political currency--but it's also easy to lose it. If personal safety were the only concern, there would not be an internal war in the first place. A focus on security might eliminate some of the smaller, most violent factions in this war. It may not satisfy some of the groups using these factions, along with other instruments, to make cynical power grabs, express their outrage against the status quo, or simply keep other Iraqi groups off-balance. Nor will the surge, by itself, drive a wedge between Iraqi groups. Rather than sneering at talks between US officials and Iraqi insurgents, we should be applauding these efforts (as long, of course, as we're talking to the right groups, in the right fashion). According to the current political and military formula, there is no other way to defeat Iraq's guerrilla factions except by exploiting the differences among them. Prime targets include some of the disaffected Ba'athists, who at some point may be convinced that the armed struggle isn't getting them anywhere, and some of the more cynical groups that have been more interested in prestige and money than any political agenda. The surge, therefore, needs to do more than provide a short-term security fix. Bigger strategic changes are needed, which this temporary, minor escalation has yet to provide. Before the invasion, anyone taking a serious look at the US military's doctrines for urban warfare and counterinsurgency found serious flaws in both areas. (Here's an example.) Since the invasion, US forces have been trying to innovate as best they can, and have improved their operational, tactical, and technical approaches in many ways. However, they can't do the job alone--particularly if the US public still doesn't know what the war in Iraq is supposed to achieve. As indicated in yesterday's NYT article, the expectations about the surge were far too optimistic. Guerrillas return quickly to "cleared" neighborhoods. Violence in some areas has worsened, which should be no surprise. The hoopla over the surge provided a major opportunity for insurgents to make a loud, bloody point with just a few well-timed bombs. Shi'ite factions are using the surge as cover for pushing more Sunnis out of Baghdad. Iraqi police and military units are sometimes hesitant to rush into dangerous situations, if the Americans appear eager to prove that the latest campaign is working. None of this is to say that the Iraqi insurgents are invincible. However, the surge does not seem to have seized the initiative from the guerrillas, nor has it exploited their weaknesses as much as it might have. Appointing a "Mr. Vietnam" was an important part of the reforms designed to better prosecute the Vietnam War. Someone, below the level of the President, needed to coordinate and direct the efforts of the civilian and military bureaucracies waging that war. Does the same idea make sense for the Iraq War? In some ways, yes; in a larger number, no. As vexing as the Vietnam War was, the Iraq War is harder to fix through bureaucratic reforms. Unfortunately, the reforms proposed for Iraq and Afghanistan are themselves a small fraction of the organizational and doctrinal changes the US government made in Vietnam. An important difference between Vietnam and Iraq is the depth through the organization chart through which the reforms penetrate. Even the most respected, seasoned national security professional in Washington will have no chance of success, if all the President does is turn responsibility over to that person. If the organizational reforms made in the late 1960s are the measure of what to do, the changes have to go very deep indeed. How was CORDS different? First, it was a field expedient tailored to the particular needs as perceived at the time. Second, it was a unique experiment in a unified civil/military field advisory and support organization, different in many respects from World War II civil affairs or military government. Soldiers served directly under civilians, and vice versa, at all levels. They even wrote each other's efficiency reports. Personnel were drawn from all the military services, and from State, AID, CIA, USIA, and the White House. But CORDS was fully integrated into the theater military structure. Contrast this truly integrated approach to counterinsurgency (or "pacification," to use the Vietnam-ism) with the organization that exists today in Iraq. While the Coalition Provisional Authority still existed, there was a clear split between the CPA and CENTCOM, the portion of the military bureaucracy waging the post-occupation war. The chiefs of CENTCOM and the CPA did little to coordinate their efforts, and at times (as documented in Thomas Ricks' Fiasco and other accounts of the Iraq War) did not even notify each other of important decisions or operations. Even with the CPA out of the picture, the CIA works on its own programs, often with little regard for the traditional military. The special operations forces (SOFs) and the CIA seem to have a better working relationship, but the SOFs are not the leading element in the Iraqi occupation. In other words, appointing a "Mr. Iraq/Afghanistan" in Washington accomplishes almost nothing on its own. The US government would need to re-architect the entire war effort, from the "war tsar" on down, to achieve any noticeable results from bureaucratic reform alone. 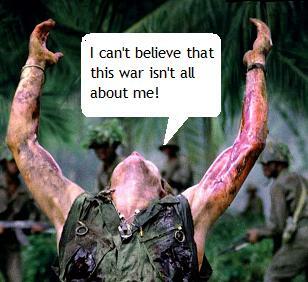 Arguably, the Vietnam War was really multiple conflicts. Not only were the United States and South Vietnam fighting National Liberation Front guerrillas, but they were also battling incursions from the conventional military forces of North Vietnam. Given the importance of the Ho Chi Minh trail and cross-border havens to which the NLF and NVA could retreat, the war necessarily involved Laos and Cambodia. While the factional conflict in Laos was settled in the early 1960s, to the benefit of the Communist Pathet Lao, the conflict in Cambodia was, by the mid-1960s, only just revving up. The other dimensions of conflict--ethnic Vietnamese versus the so-called "Montagnards," the Chinese and Soviet support for North Vietnam--made the war even more complex. However, at bottom, there was still only one war for the United States. The conflicts in Laos and Cambodia were noteworthy, only as they affected the more important part of US theater strategy, the survival of an independent, non-Communist South Vietnam. There is no such unity at the theater level in Central Asia. Iraq and Afghanistan are separate conflicts, each with its own set of participants, challenges, and goals. Conflating the two makes no strategic sense; making a single "war tsar" responsible for both only deepens the confusion. Since the proposed "war tsar" reports directly to the President, the priority is likely to be Iraq over Afghanistan, in which case Afghanistan may suffer from the same "attention deficit" problem it does today. It's hard enough to write about Iraq and Afghanistan at the same time. To avoid making this series of posts unreadable, I'm focusing on Iraq, because that's where the inspiration for this "war tsar" idea arises. In the process, I'm committing the same error of overlooking the urgent, independent needs of Afghanistan as the US government. In other words, I'm feeling a tiny fraction of the problem a real "war tsar" might face, trying to juggle Iraq and Afghanistan, and do justice to both. The other obvious problem with the "war tsar" idea is the distance from the battlefield. Another person responsible for Iraq or Afghanistan isn't necessarily going to make as much difference as someone stationed in one of those countries. (Again, it's obvious that trying to shuttle, physically or strategically, between both countries is impractical.) While it's always going to be necessary to have some presence in Washington, to kick the bureaucratic apparatus there into gear, or keep any political understandings between the White House and Congress working, the bulk of the war tsar's time must be spent in "in country." Fortunately and unfortunately, a model for this kind of proconsular leadership already exists, the commander-in-chief (CINC) of the combatant command for the Middle East and Central Asia, CENTCOM. The fortunate part is, a model already exists for theater-level leadership that pulls together the efforts of different civilian and military bureaucracies. The unfortunate part is the Bush Administration's aggressive dismantling of the authority that the CINCs once possessed. Former Defense Secretary Donald Rumsfeld made the curbing of the CINCs' power a top priority, and no one in the White House opposed him. For the US government to resurrect the CINCs' leadership role, the White House would have to make a very clear (and somewhat embarassing) reversal.